If you are interested in to learn about, solve your problems with and/or contribute to multilingual Drupal, DrupalCon Barcelona is the place to be. Here is a quick summary of things happening so you don't miss what is going on. Extended sprints before and after DrupalCon (19-21 and 26-27 September) are happening, and the multilingual team is there. Intersted in localize.drupal.org and translating Drupal itself? 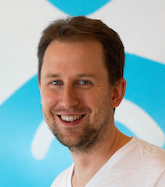 Come to and discuss at Bring Drupal 8 to all in their native languages on Monday 11am to noon. Drupal 8 comes with a whole new set of multilingual features, which combined with other improvements is even more powerful. 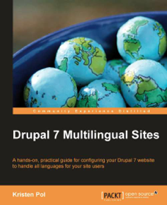 Drupal 8 multilingual site building hacks is the place to be to see that in action. Just want your problems solved and move on? The multilingual therapy BoF is on for that on Wednesday lunchtime. Bring your lunch and questions/problems. If you don't have time or the opportunity to come to the Drupal 8 site building session, get the executive summary at the Acquia booth at 3:15-3:45pm on Wednesday (in the break). Tired of all this multilingual stuff? Want to learn how we managed to be so active for four years on so you can get your movement going better too? Your place is at Open source project management in the Drupal community, lessons from the multilingual team Thursday 1pm to 2pm. Just want to get stuff done (fix UI text, solve bugs, figure out issues) in core so you don't need to solve them over and over for your customers? We are also at the sprints on Friday and the community is even offering plenty of mentoring if you are entirely new. No excuses to not contribute! While not primarily multilingual content, there is also multilingual coverage in Entity storage, the Drupal 8 way, in Our experience with building Drupal 8 Sites in Alpha and Beta, in Configuration management in Drupal 8, in Building sites in Drupal 7 with an eye on Drupal 8, as well as in Let's build it on Drupal 8 and some others I likely missed (sorry for that). Hope to see you at some of these places! Win prizes by playing with Drupal 8's multilingual site building features! Drupal 8 packs a historic amount of site building features which make producing websites easier than ever with core or just a couple contributed modules only. There are already various live Drupal 8 multilingual sites using little more but core. It is hard to grasp the many things with useful levers and knobs in Drupal 8. Think about combining views with entity view modes and blocks; block language visibility with menus; user preferences with comment submission; language filtering and entity rendering; translatable fields with administration views; and so on and on. Wouldn't it be fun to experiment with the possibilities and come up with clever ways to combine core features to solve common problems? You may be familiar with the name and format of O'Reilly's Hacks Series which reclaims the term "hacking" for the good guysfolks — innovators who explore and experiment, unearth shortcuts, create useful tools, and come up with fun things to try on their own. The excellent series inspired the name and format of our contest. Long story short, hereby, we announce the Drupal 8 multilingual site building hacks contest! Come up with clever ways to combine Drupal 8 core features (and if needed one or at most two contributed modules) to fulfill a multilingual site building need. Write up the steps taken. See an example in hack #1. (We'll do light editing of the post if needed, don't let perfection be the enemy of good). Register on http://drupal8multilingual.org/user to submit entries (requires approval for spam protection). Submit entries by end of day (CEST) July 31st. One person may submit as many entries as they wish. All entries will be published after review (and possible light editing). The top 3 best hacks will receive unique presents from Hook42 and Amazee Labs! (Further sponsors welcome). You'll either receive the presents at DrupalCon Barcelona or we'll mail it to you if you are not coming to DrupalCon. This is of course additionally to the joy of getting to play with some of the less frequented but definitely no less fun features of Drupal 8. All hacks will be published under Creative Commons Attribution-ShareAlike 4.0, so the community will benefit. Additionally to that Gábor Hojtsy and Vijayachandran Mani are building an open source presentation with the best tips (same license). This will be presented at Drupalaton Hungary and DrupalCon Barcelona. Similar to our existing open source workshop, everyone will be able to present this at local meetups and camps or follow along at home at their own pace. What kind of hacks are we looking for? Swap textual site logo Need to swap a site logo with text on it for different languages? Use a translatable custom block with an image field. Configure the display mode and add some custom CSS if needed. Language dependent front page Use block visibility to display up to date content on a well maintained language while an About us / Contact us page on languages where resources are limited to maintain useful fresh content. Of course these are just some things we made up (although still eligible for the contest). Looking for your creative ideas and solutions! This is a crosspost from http://www.drupal8multilingual.org/hacks. Read more about Win prizes by playing with Drupal 8's multilingual site building features! The Drupal 8 multilingual team is really great in spreading know-how on the new things in the upcoming version, so we had our session (1h) and workshop (2h) recordings published and widely available. While we of course love our baby and can talk all day about it, who has hours when they just want to explore what is coming up? We just addressed that this week with the following. http://www.drupal8multilingual.org/#topbenefits lists the top 12 benefits and http://www.drupal8multilingual.org/features provides the more detailed information in an easy to skim text form. And yeah, that 1h session video if you have the time. Thanks to our work on the multilingual workshops for DrupalCons, BADCamp and DrupalCamps, we have a demo with sample content in 4 languages that you can try out in your browser for 30 minutes without any registration or local software install required thanks to simplytest.me. Drupal 8 is not yet released, yet there are numerous live multilingual Drupal 8 sites helping with nature preservation, finding health professionals or concert tickets among other good uses. 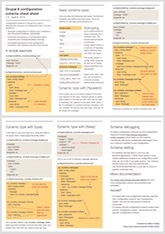 Now there is a handy list to review at http://www.drupal8multilingual.org/showcase. If you like what you see, we still have guided workshops (those that last 2h). The next one is coming up right this Sunday at DrupalCamp Spain. We also believe that the multilingual team is one of the best to get involved with if you want to know Drupal 8 better and give back some to improve the new version as well. We have weekly meetings and a huge sprint coming up at DrupalCon Barcelona. Maybe we'll have some opportunity to celebrate as well. See you there!